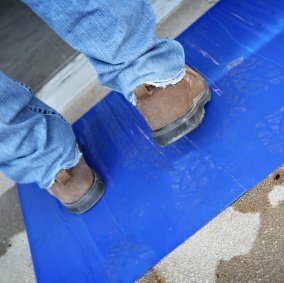 Trimaco’s Dirt Trapper™ Ultra Sticky Mat is the perfect solution to reduce tracking on the job. 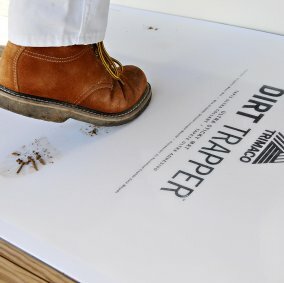 When placed inside jobsite or work area entrances, the sticky mat traps dirt, dust and contaminants from shoes, boots, hand trucks and carts. 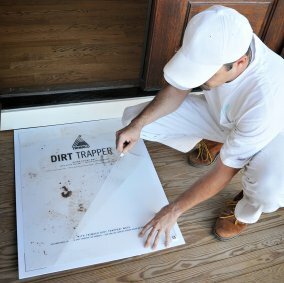 Our starter kit contains a 26″ x 32″ non-skid frame and includes a 30 layer 24″ x 30″ mat. 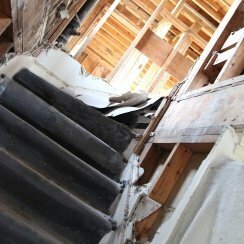 Just peel the dirty layer off to reveal a new, clean sheet underneath. 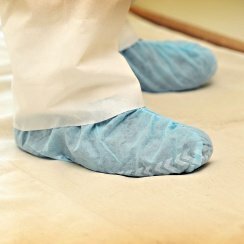 The durable non-skid frame will hold up to the toughest use and can be refilled with additional sticky sheets, which are available in 30 sheet counts. 4pks do not need a frame. 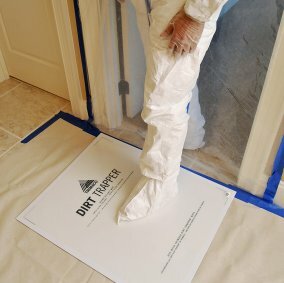 Make sure you also grab some of our door frame protector products.